"The ancient, outworn, Puritanic traditions"
But still ... I'm blue. Private Van Deusen was assigned to the cavalry of the University of Chicago, to teach ROTC. 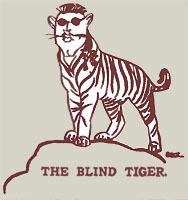 On October 6, 1928, he responded to a call for volunteers for the U of C newspaper, the Daily Maroon, with his own call for writers for a new column, which he called 'The Whistler' and which he ran under the pseudonym of The Blind Tiger. 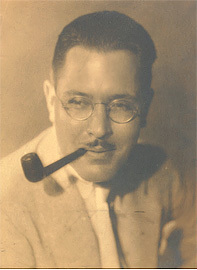 'Blue' was one of two poems he published in this first column.